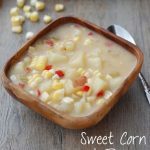 Sweet Corn and pepper chowder | NoBiggie.net – a great recipe when corn is in season. I have a family favorite recipe for you today. It’s that season again! Fresh corn on the cob season! My kids LOVE corn on the cob, we all do. I also like using it in this recipe. Don’t you love picking up fresh corn on the cob at the little produce stands that pop up this time of year?!. This is a great Summer recipe , because it’s all cooked on your stove top (no turning on your oven), who am I kidding…it’s great year round! 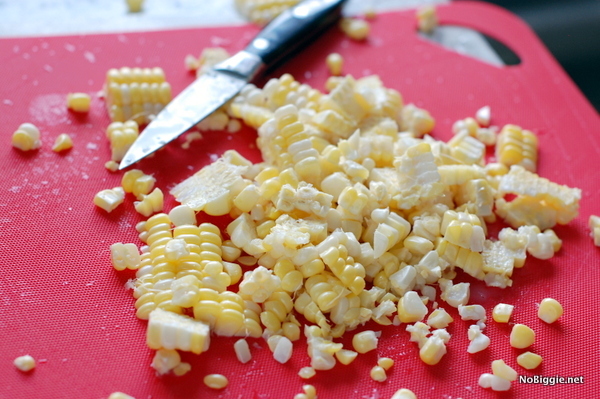 Frozen corn will work great in this recipe too. 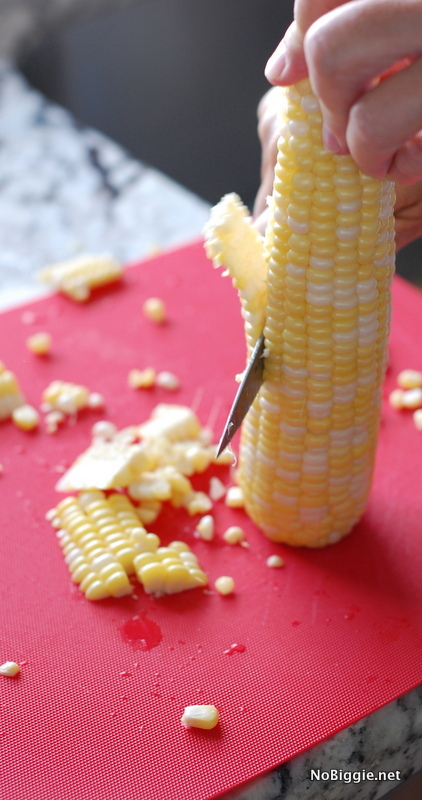 To start, you’ll need to cut the corn off the cob… two full cups. 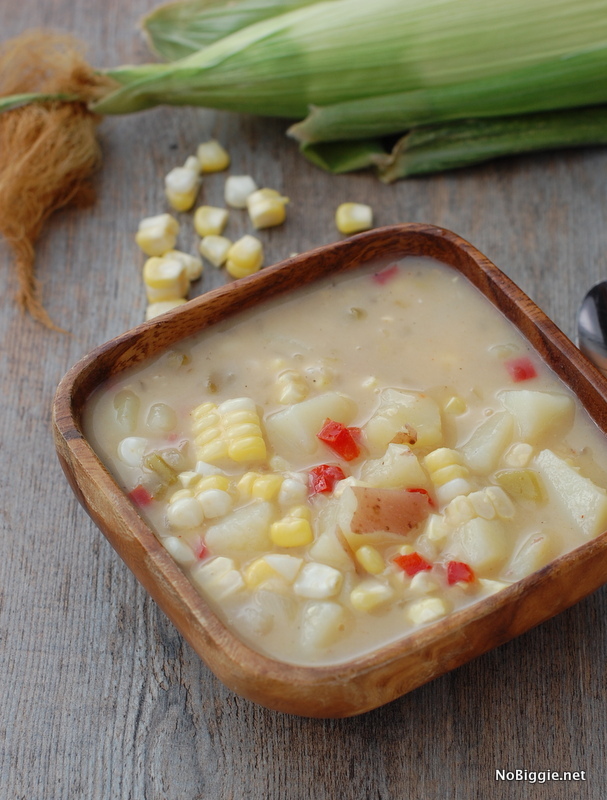 it will be one of the last things to add to this delicious chowder. Coat a large Dutch oven with cooking spray; add oil, and place over medium-high heat until hot. Add onion and pepper and sauté 5 minutes, stirring frequently. Stir in flour, cumin and ground red pepper, if desired; cook for 1 minute. Add potatoes, water and bouillon; bring to a boil, stirring frequently. Cover, reduce heat and simmer 10 minutes or until potatoes are tender and liquid is thickened. 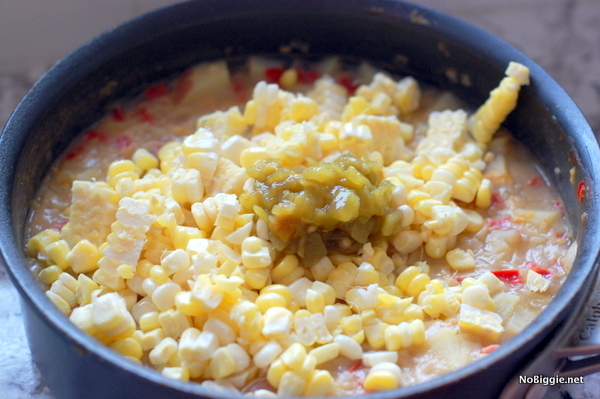 Add corn and remaining ingredients; bring mixture to a boil over medium heat. Serve soup warm. It’s a good one! I hope your family loves it too! Great picture at the end. I want to pick up the spoon and eat. YUM! This looks delicious! Do you think I could substitute rice flour or something else to make it gluten free? My family loves corn also! 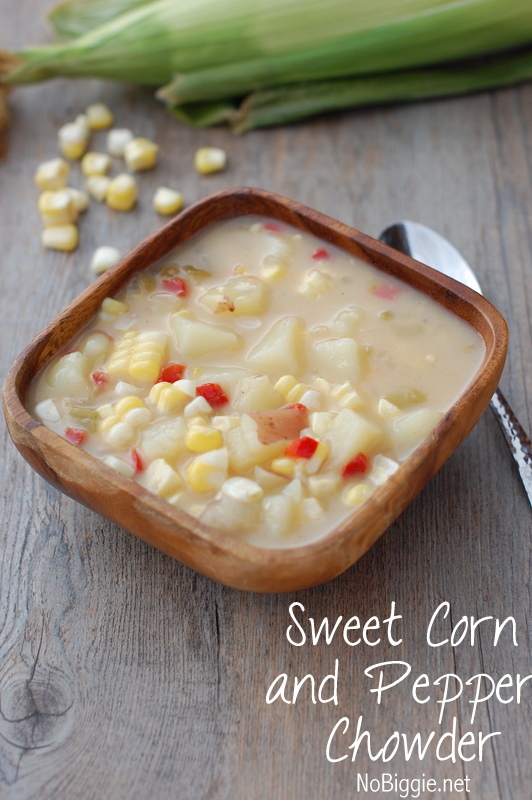 This is sure to be our family’s favorite recipe soon! Pinned!